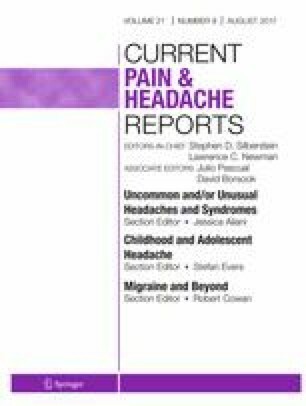 The purpose of this study is to provide an update on recent developments in the understanding, diagnosis, and treatment of spontaneous intracranial hypotension (SIH). SIH is an important cause of headaches caused by spinal cerebrospinal fluid (CSF) leaks, with an increasingly broad spectrum of clinical presentations and diagnostic findings. A simple conception of the condition as being defined by the presence of low CSF pressure is no longer sufficient or accurate. A number of etiologies for spinal CSF leaks have been identified, including the recent discovery of CSF-venous fistulas, and these various etiologies may require different diagnostic and therapeutic pathways in order to affect a cure. Familiarity with the spectrum of presentations and causes of SIH is critical to accurate and timely diagnosis and management. Challenges exist in both diagnosis and treatment, and require understanding of the underlying pathogenesis of the condition in order to appropriately select testing and treatment. Prospective studies are needed going forward in order to inform workup and guide treatment decisions. Peter G. Kranz, Michael D. Malinzak, Timothy J. Amrhein, and Linda Gray each declare no potential conflicts of interest. • Kranz PG, Tanpitukpongse TP, Choudhury KR, Amrhein TJ, Gray L. How common is normal cerebrospinal fluid pressure in spontaneous intracranial hypotension? Cephalalgia. 2015; doi: 10.1177/0333102415623071. Analysis of patients with SIH finding that normal CSF opening pressure is more common than finding a pressure <6 cm H 2 O.
Yao LL, Hu XY. Factors affecting cerebrospinal fluid opening pressure in patients with spontaneous intracranial hypotension. J Zhejiang Univ Sci B. 2017;18(7):577–85. doi: 10.1631/jzus.B1600343. Choi H, Lee MJ, Choi HA, Cha J, Chung CS. Intracranial structural alteration predicts treatment outcome in patients with spontaneous intracranial hypotension. Cephalalgia. 2017:333102417690106; doi: 10.1177/0333102417690106. Amrhein TJ, Befera NT, Gray L, Kranz PG. CT fluoroscopy-guided blood patching of ventral CSF leaks by direct needle placement in the ventral epidural space using a transforaminal approach. AJNR Am J Neuroradiol. 2016; doi: 10.3174/ajnr.A4842.